Remember your last flight when you told yourself that at least flying couldn’t get any worse? Well, it’s about to get worse. United Airlines will soon start charging some customers for the privilege to use the overhead bins. What do you suppose will be next? A fee for your jacket? A fee to have someplace to put your feet? If you’d told me a decade ago that an airline would start charging for use of the overhead bins, I don’t think I would’ve believed you. So there’s really no new airline fee that would surprise me at this point? We’ve reached out to United to ask about this new fee and will update this post with whatever positive spin the company tries to put on it when we hear back. We are not implementing additional restrictions on our customers, or taking anything away from them. United has announced a brand new fare called Basic Economy that is an additional option for customers and that will be cheaper than our regular Economy fares. For customers that are interested in bringing a carryon, our regular Economy fare will still be available. 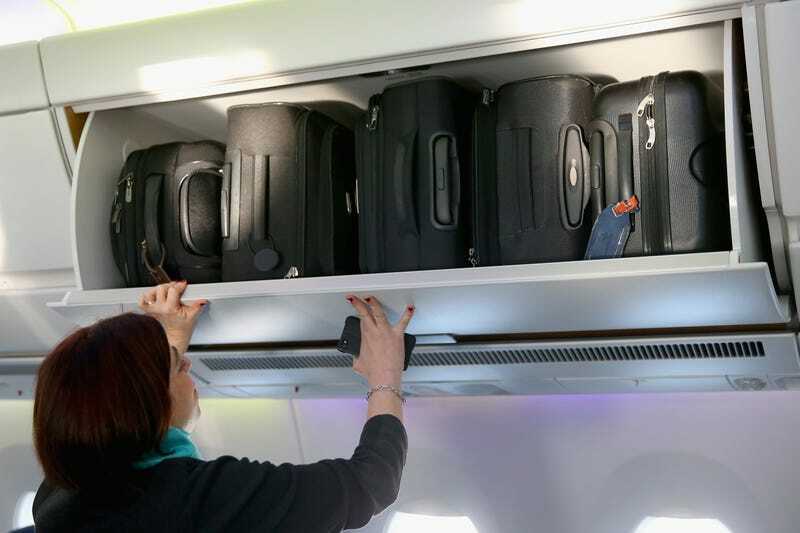 Furthermore, customers who purchase a Basic Economy fare with their Chase MileagePlus credit card will still receive priority boarding in group 2, and will be able to bring a carryon bag to stow in the overhead bins. So I guess if you really think about it, you should be thanking United for all the freedom they’re giving you with so many new choices. Thanks, United.